The equipments of the series CA2001/C and CA/2002 are thought to automate systems of dosing by meter up to a total of 20 products with thin adjustment of dosing and automatic control of vibrators and scale with fixed connection or intermittent due to the dosing volume or unload volume. 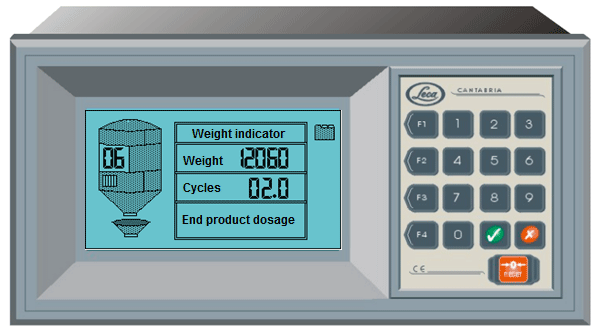 On screen he appears an animated synoptic in which is indicated the number of product that is dosed, total weight in scale, cycle being realized and message of the productive status. His nine remote requests and his program of control make them ideal also for applications in those who wish a remote dosing. Dosing and weighing equipment for one scale.